To all who supported us. 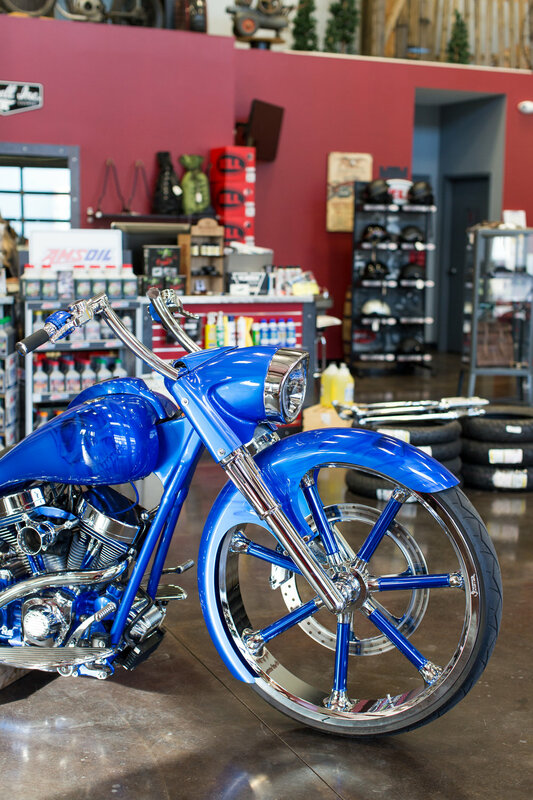 From building custom motorcycles to selling helmets, handmade leather goods and more, Salt Lake Motorcycle Co. is your one stop motorcycle shop in salt lake city. SIX YEARS AGO we were under the name of Back Alley Bobbers on 900 South in Salt Lake City. Now we have our name Salt Lake Motorcycle Co. and moved into our custom shop and maintenance studio in the heart of South Salt Lake on 2100 S.
WE OFFER motorcycle maintenance , tires, brake pad replacement, custom motorcycle builds and we serve as a retailer for some local small business vendors. OUR MISSION over here at the shop is to serve our motorcycle riding community in Salt Lake City regardless of age, gender and demographic. We serve motorcycle riders from the newest riders to the most experienced riders. So take your time, take a look around at our history, look over some of the sweet deals we have in our shop right now, or give us a shout. We believe in the products we carry. We aren't beholden to any one brand because we bring you the best of the best. From Gringo and Lane Splitter helmets—always in stock—to handcrafted leather motorcycle gloves, tires and handlebars, we offer competitive pricing because riding motorcycles in Salt Lake City should be accessible to anyone and everyone. For maintenance, we carry a range of tire brands, HIFLO filters, and premium AMSOIL, and as always make sure we have the best of the best in motorcycle care in stock for you. Very excited to find this great shop. Full range of services, accessories and clothing, plus the best custom work I've seen in a long time. My husband dragged me into this shop tonight to check this place out. Chris is super nice! He stayed after hours and talked bikes with us. I definitely recommend stopping in and checking out his shop! Chris is great to work with. It is nice to find a motorcycle shop that acts like they want your business. Not only are they great to work with, the shop is clean and cool looking. Can't find a better and more helpful shop and treats you very fair ! Nothing but great things to say. Chris is amazing, and I can not recommend them enough.